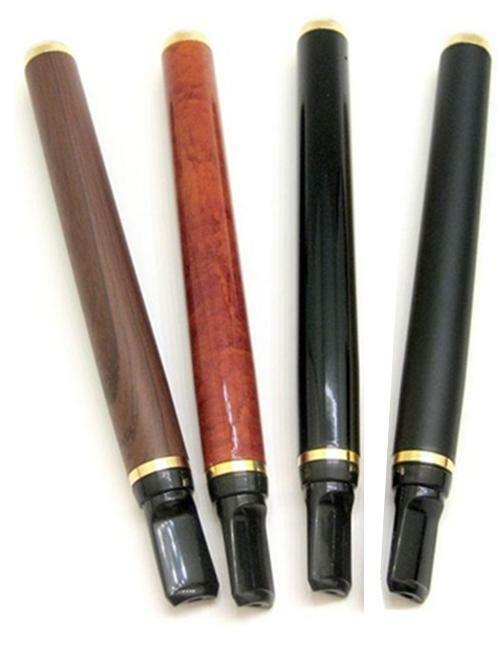 These e-cigars are about the same price as a typical e-cig, but the atomizer tube (which also contains the battery) is more than twice the price of an e-cig atomizer. 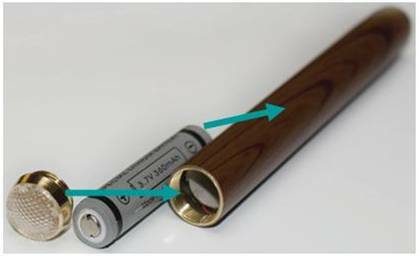 The generic rechargeable 3.7V, 320-360 mAh 10440 battery (that goes inside that tube) costs about half the price of a typical e-cig battery. So it balances out. 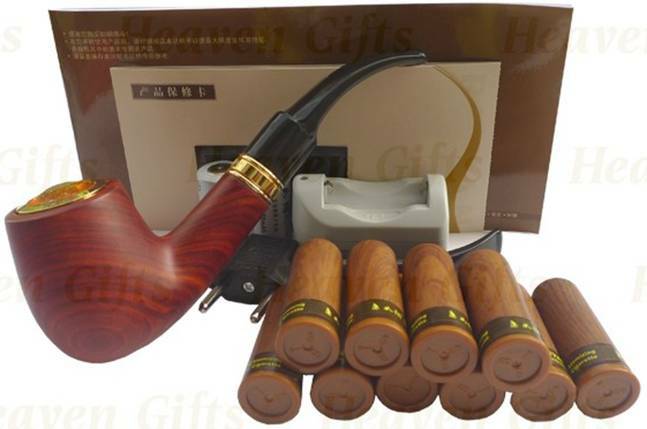 Heaven Gifts carries the more expensive RUYAN e-cigar, about which I know nothing. The much more expensive Greentech G120 Cigar from NHaler, which (along with the next two models shown) actually looks like a cigar. 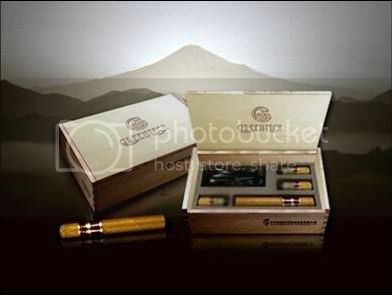 Heaven Gifts carries the RUYAN No.1 disposable e-cigar, which (at $20.50 each + China shipping) rivals the priceyness of the Greentechs below. At $25-28 per stogie, the Greentech G100 and G201 Mini Disposable Cigars from NHaler are (like the RUYAN) is too expensive for my budget. [The G201 shown on the right is half the size of the G100 on the left.] You know, I think I see a pattern. Greentech (which also offers that expensive Greencig counterpart to the Kr8 e-cig discussed in Part IV) positions itself as the Rolls Royce (or at least Lexus) of PVs. And, like a Rolls Royce or Lexus, if you can afford it, go for it! The 156mm DSE601 E-Pipe from LiteCigUSA, Happy Vaper [10% discount code: VGHV10], Heaven Gifts, and EastMall really does look just like a pipe. It is about 50% more expensive than the typical e-cig. 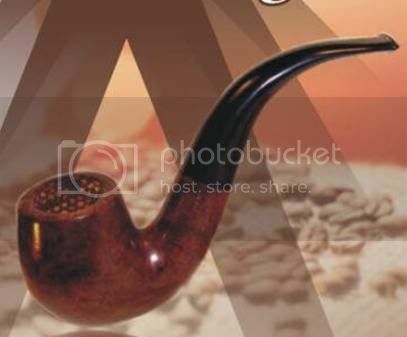 The e-pipe’s atomizer is the bowl of the pipe and costs around $40 to replace. 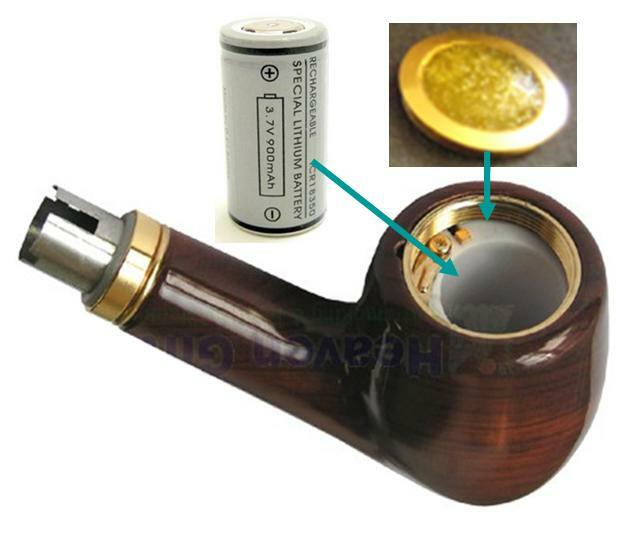 The bowl also contains the generic rechargeable 3.7V, 900 mAh 18350 battery. 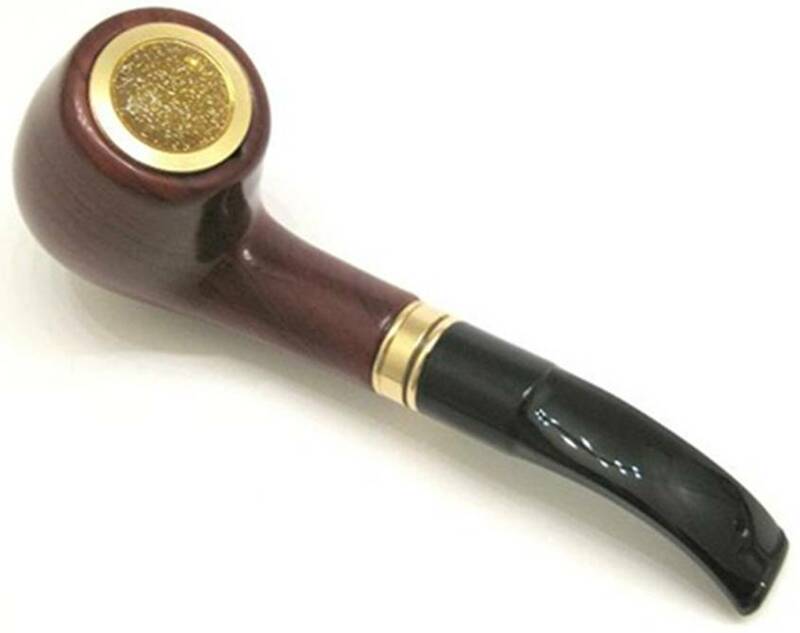 The RUYAN rose wood e-pipe from Heaven Gifts comes in at the luxury end again, rivaling Greentech’s entry in cost. And here’s Greentech with their G500 pipe from NHaler – more than three times the price of the DSE601. 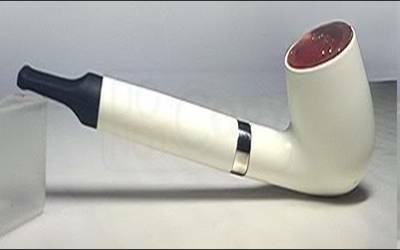 The 110 mm RoyalSmokers’ RS888 Mini Pipe (aka “Lady” Pipe) carried by SmokeJuice in the UK is, of course, smaller than the above and slightly less expensive, but is a bit difficult to find. Video reviewers have panned it, but some users like it (although they complain about its battery life). 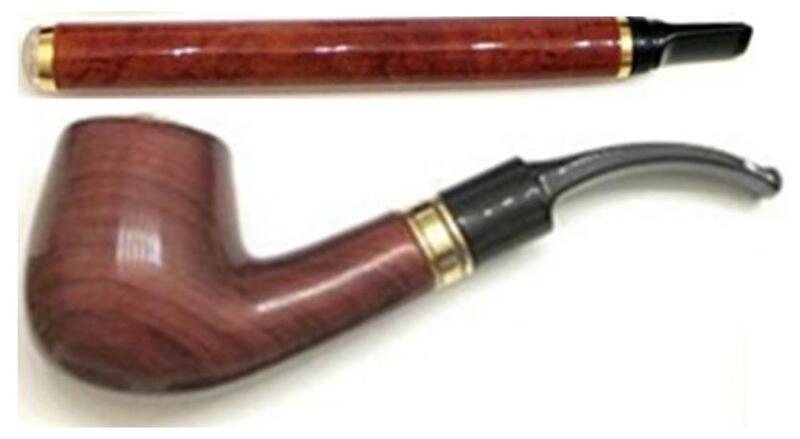 I’ve read that it uses a penstyle atomizer, but confirm that by exploring the Mini Pipe ECF forum. 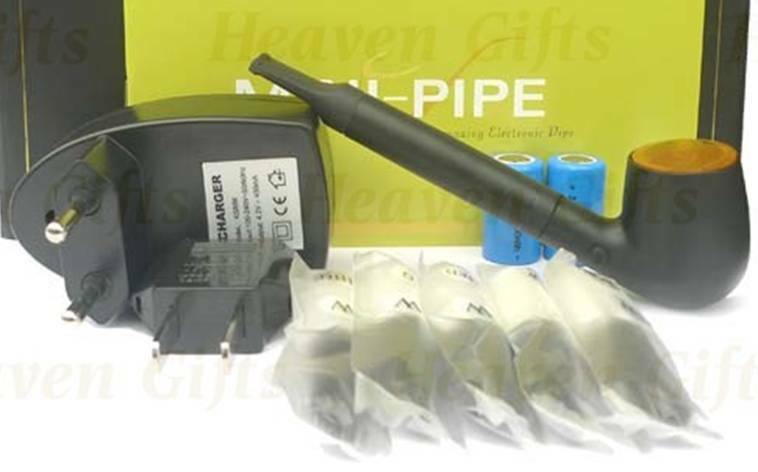 Kanger also has a mini pipe: the KR608A, carried by Heaven Gifts. Here it is shown in black. It also contains the generic rechargeable 3.7V, 900 mAh 18350 battery.